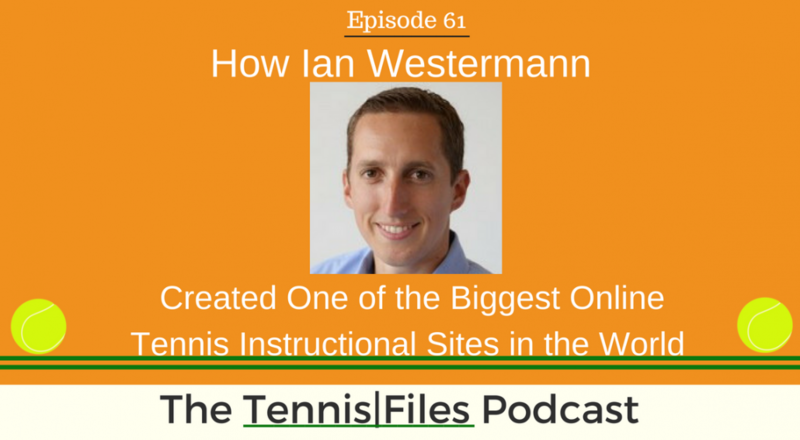 On today’s episode of The Tennis Files Podcast, I spoke with my friend Ian Westermann, founder of Essential Tennis. I asked him about his passion for the game, how he went from country club tennis instructor to one of the biggest online tennis instructional sites in the world, and how we can become better singles and doubles players, among many other interesting topics. Ian was featured in Forbes as one of the most successful online tennis instruction entrepreneurs and he is considered one of the pioneers of online tennis instruction. Ian started the Essential Tennis Podcast in 2008, which is one of the most popular tennis podcasts of all time. Ian and his awesome team at ET have produced an incredible amount of free, high-quality, value-filled videos that have helped millions of people improve their tennis games. The proof is in the pudding: Essential Tennis currently has over 125k subscribers on Youtube, which says a lot about the quality of ET’s instructional content. Ian and his team have also created tons of amazing premium tennis courses at EssentialTennis.com. It was a pleasure having Ian on The Tennis Files Podcast, especially because we both share the same passion as you do: to become better tennis players. I hope you enjoy this episode of TFP with Ian, and let us know what you think in the comments below! [4:49] Does Ian really have an Essential Tennis tattoo? If you enjoyed my interview with Ian, subscribe to The Tennis Files Podcast in iTunes or your favorite podcast app!